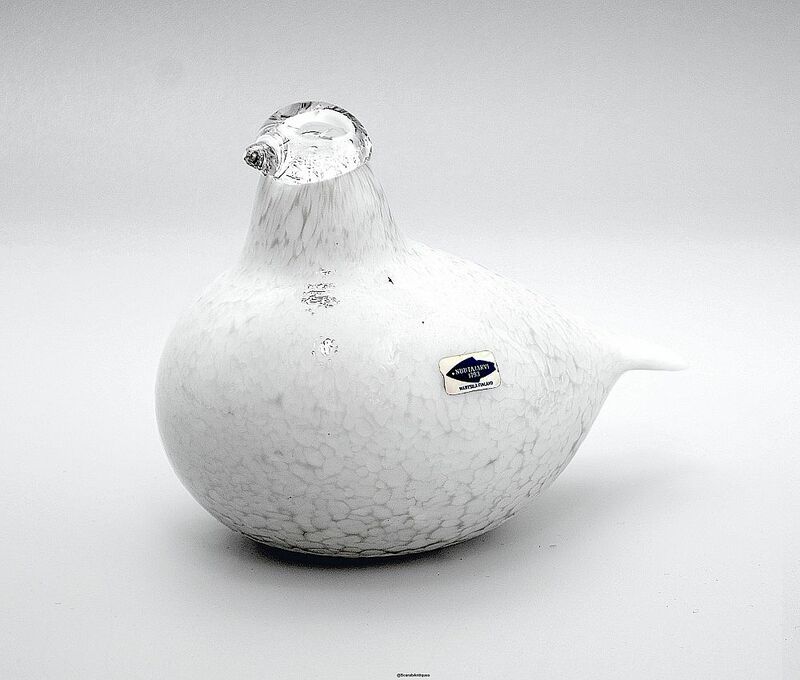 I love Oiva Toikka's glass birds! This one is slightly smaller than others that we have had and is made of white & cream mottled glass with a clear glass head. It has the silver & blue Nuutajarvi label and is signed "Oiva Toikka Nuutajarvi".